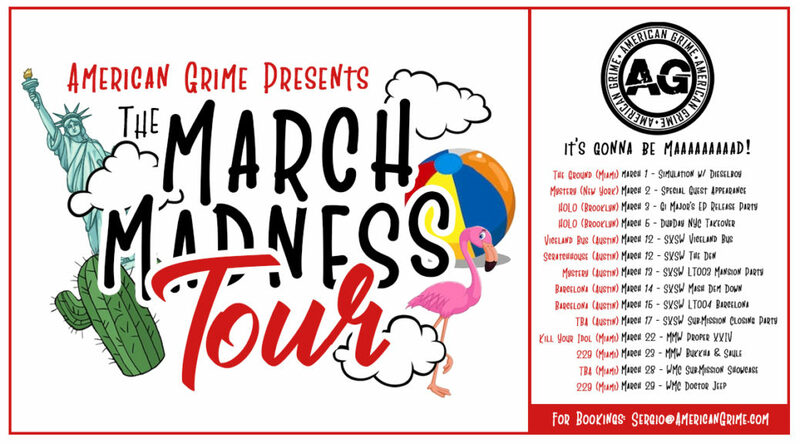 Its with love and great pride that we present American Grime’s #MarchMadnessTour with stops in NYC, Austin and Miami!! Featuring a slew of the AG family at different stops including 3rDi, MC Jumanji, Timbo Slice, Michael Savant, Bookz, Trigon, Dos, Argyle Bixby, Gi Major and more! 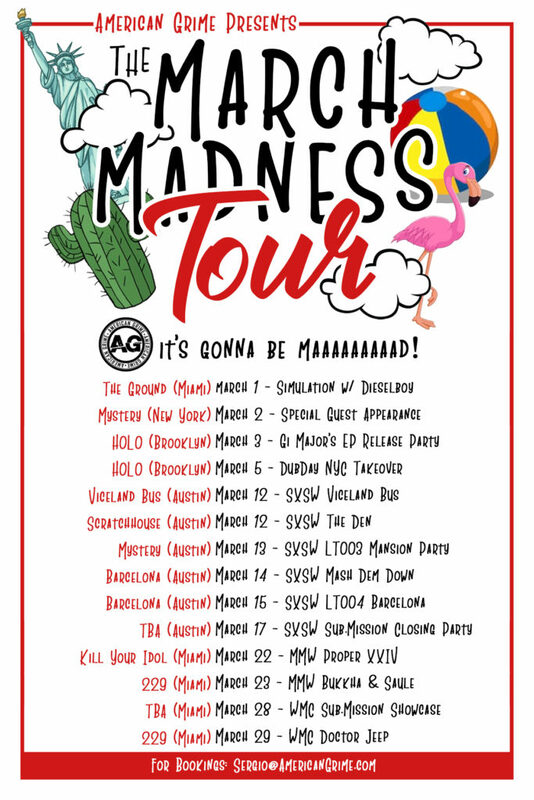 SXSW, WMC and MMW arent ready for this one… IT’S GONNA BE MAAAAAAAD!!! In Bristol, we linked with DJ Chefal and Sir Hiss for a Pirate Studios livestream that went off! We also joined the Sub.Mission and CNCPT collective gang for round 2 of their annual US/UK party at the Black Swan. In Birmingham, we jumped into the cypher with DJ Biggoss and Free, along with a slew of talented MCs from the 0121 such as Sox, T.Roadz and Kay P. Then we hit the studio with DJ Biggz, Kupid and Tarju! 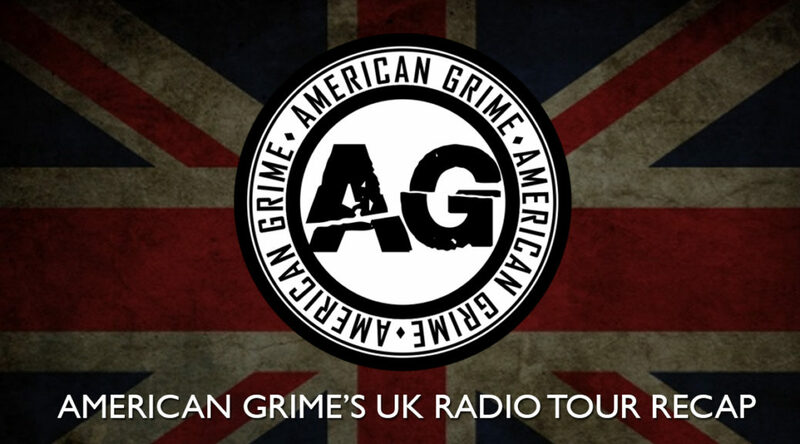 In London, we hit Kiss.fm with rudekid, Rinse.fm with Marcus Nasty, Flex.fm with General Courts, Pyro radio with Oblig, Westside Radio with Stormy, Olos and Kayo, Mode.fm with Tiatsim, Reprezent radio and a livestream with the Monsters Dubstep Crew! We even got to shell bars with and interview Flowdan from Spent Shell Records! 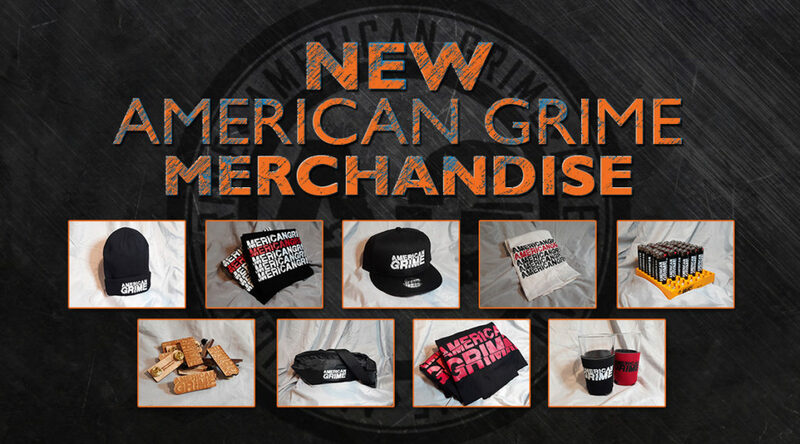 For booking or further information, please email Sergio@AmericanGrime.com and follow our artists below.